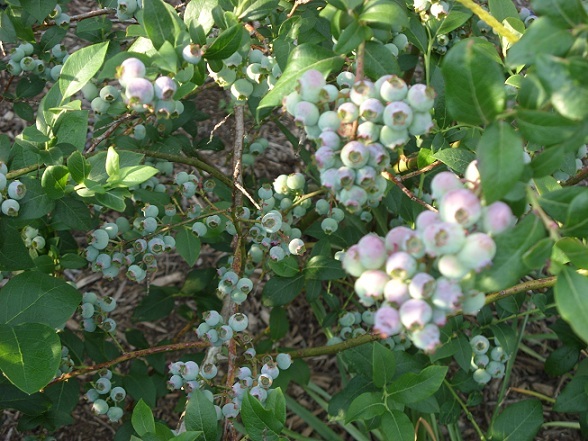 It’s the start of blueberry season, a treasured time of year because I can pluck warm, juicy, perfectly ripened berries from the bush & pop them into my eager mouth. You have to have this experience for yourself to know the world of difference between freshly-picked & store-bought berries. There is no comparison! Two years ago, I asked my boyfriend to build a wooden structure covered with netting to keep the birds off the blueberries. After spending all day running errands, I came home to find a mourning dove with her wing tangled in the netting, flailing to free herself. How long had she been trapped like that?! I helped her get loose & thankfully, she flew away unharmed. No amount of blueberries was worth seeing her frightened & distressed so I vowed to do things differently next year. Last year, I didn’t cover the bushes at all. While I thought I could get up early enough in the morning to get a few berries before the birds got them, it never happened. Sure, the birds were happy but I was starving for blueberry pancakes, muffins,& smoothies. Again, I vowed to do things differently next year. It’s taken a couple of years but I think I’ve worked out a way to do this without being “extreme” in my methods (or ideology). The solution… compromise. (Isn’t that so often the solution?) 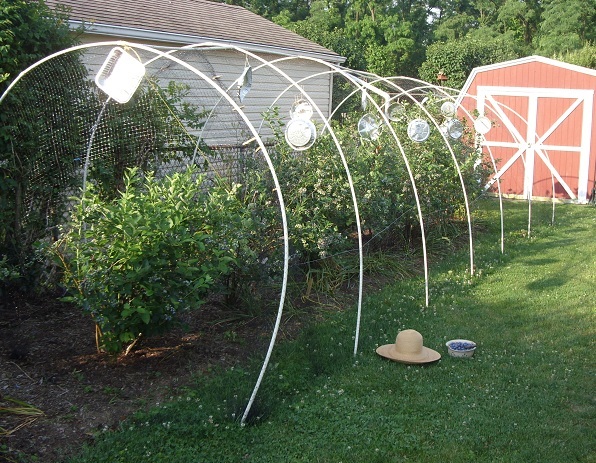 This year, we designed the perfect protection for the blueberries so we can enjoy them now & have plenty to freeze for winter while leaving two bushes uncovered to feed the birds. This compromise is a symbol of my gratitude for what Mother Nature has given me as well as my belief that we must share what we have with others. By freely sharing our abundance, there is more for me & more for the birds, too. We all win! 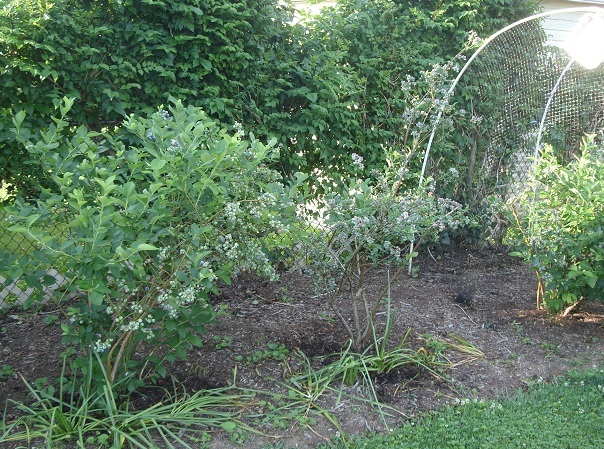 Who knew that blueberry bushes would come to represent my spiritual journey? 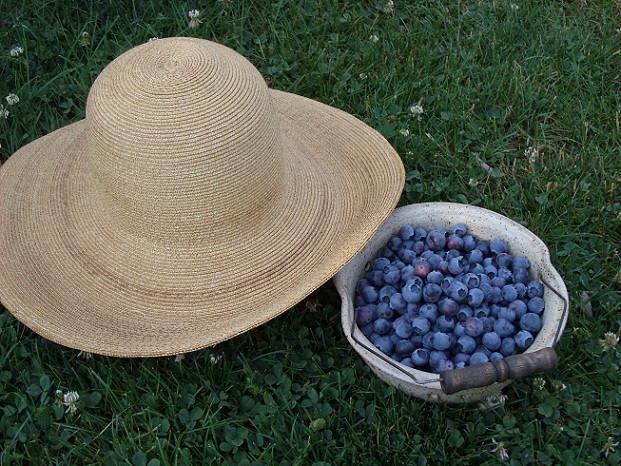 This entry was posted in It's All Connected: Spiritual Musings, My Love for Nature and tagged abundance, birds, blueberries, earth, food, gratitude, life, nature, spirituality, stewardship, thankfulness by puresusan. Bookmark the permalink.